The Best Hospitality blogs from thousands of top Hospitality blogs in our index using search and social metrics. Data will be refreshed once a week. Hospitality newsletter is a comprehensive summary of the day's most important blog posts and news articles from the best Hospitality websites on the web, and delivered to your email inbox each morning. To subscribe, simply provide us with your email address. Sydney About Blog Hospitality Magazine brings you all the latest news on this dynamic industry and its sectors, including food, beverage and management. It also offers more in-depth features on industry trends, chef profiles, recipes and advice on how to improve your hospitality business. Facebook fans 11,671. Twitter followers 3,776. About Blog Hospitality times is a one-stop newspaper for hoteliers, hospitality educators, students and others interested in the latest news and events in the global hospitality industry. The newspaper is produced by the students and staff at HTMi and readers can learn about hotel company news, hospitality industry events, market trends, strategy, human resources, culinary management and much more. Facebook fans n/a. Twitter followers 625. About Blog Luxury Hospitality Magazine is a leading trade publication within the hospitality industry that is an effective marketing tool for our advertisers. We provide up to date news, event & exhibition details as well as keeping our readers up to date with what is going on within the industry; new openings, new brand launches, design styles plus plenty of relevant information to make Luxury Hospitality. Mountain View, CA About Blog Comprehensive up-to-date news coverage on Hospitality, aggregated from sources all over the world by Google News. Facebook fans 22,229,562. Twitter followers 212,881. Redwood Shores, CA About Blog Oracle Hospitality provides leading enterprise-wide applications, services and hardware for the hospitality industry. Facebook fans 26,357. Twitter followers 449,249. Canada About Blog Foodservice and Hospitality magazine is the authoritative voice of Canada’s foodservice and hospitality industry and is published 11 times a year. Facebook fans 483. Twitter followers 3,492. Facebook fans 4,599. Twitter followers 1,165. About Blog Fortifying access to fact-based journalism by helping news organizations build sustainability through sound business and customer service strategies, developing custom software tools, and creating opportunities to collaborate, experiment and innovate. Facebook fans 86. Twitter followers 500. UK About Blog Stir it up is published 10 times a year and includes the latest food and industry news as it affects the education, health and welfare, hospitality sectors of the independent catering industry. Facebook fans n/a. Twitter followers 1,323. About Blog Planning your career is extremely important. Our Hotel Career Advancement Daily Planners help you achieve your goals and advance your hotel career today! About Blog Our experience on travel and tourism industry has led to some of the best performing websites within the sector. We create both User and Search Engine friendly websites with branded content, elegant and modern design, reflecting the core values of the brands as destinations, as travel agencies or hotel units. Read here news about hospitality, hospitality web design and hotel branding. India About Blog Hospitality Paradigm's training programs and seminars are specifically designed to provide management professionals from the hospitality industry with the tools and techniques that will motivate their teams to better understand the needs of their clients, thereby optimizing revenues. Washington, USA About Blog The Washington Hospitality Association is the state’s leading hospitality trade group, representing more than 6,000 members of the hotel, restaurant and hospitality industry. Formed in 2016 by a joining of forces of the Washington Restaurant Association and the Washington Lodging Association, it supports and advocates for restaurateurs, hoteliers & related hospitality industry professionals. Facebook fans 2,035. Twitter followers 16. San Francisco, CA About Blog The purpose of this subreddit is to build an open source training handbook template for the hospitality industry. The sections will be broken down in individual posts and edited to include information that is vetted by the members of the forum. Moderator volunteers are welcomed. Facebook fans 1,087,517. Twitter followers 471,154. Netherlands About Blog Vastint Hospitality was established in 2012 to generate long-term value by investing in and developing hotel and student properties across Europe. They are part of the Vastint Group, an international real estate organisation with over 25 years of experience. United Kingdom About Blog BigHospitality is an online resource for those working in, or interested in, the hospitality industry. In addition to providing up-to-the-minute news, we also feature profiles of some of the industry’s key people and businesses; information on the latest products and advice from industry experts to help you build your career and a better business. Facebook fans 6,885. Twitter followers 41,979. Facebook fans 9,344. Twitter followers 3,566. Mumbai, India About Blog Hospitality Biz India is the first hospitality news portal in India to provide quality information on the hospitality industry. This news website will help you source Indian and global hotel news, views, analysis and trends. London, UK About Blog The BHA is the leading agenda-setter and members organisation for the hospitality & tourism industry. Our role is to promote the interests of operators, brands & owners across hotels, restaurants & food service, serviced apartments, clubs & visitor attractions. The BHA shapes the future of hospitality & tourism as a driver for international competitiveness, economic growth and valuable careers. Facebook fans 2,673. Twitter followers 12,915. London About Blog Hospitality.lk is an online information and knowledge base for hospitality and tourism industry professionals of Sri Lanka. Our portal aggregates and distributes articles, blogs, files, links, events, job information, resumes and interests with your growing network of hospitality and tourism professionals and suppliers. Facebook fans 28,481. Twitter followers 40,918. UK About Blog The Institute is the global professional body for individual hospitality managers and aspiring managers. Established in the United Kingdom in 1938, the Institute has been promoting education and professional development in hospitality, leisure and tourism for over 75 years. Institute members are now located in over one hundred countries. Facebook fans 340. Twitter followers 15,905. Global About Blog eHotelier is the global portal for hospitality professionals serving hospitality professionals with hotel and hospitality industry news from around the globe. Facebook fans 62,392. Twitter followers 15,619. 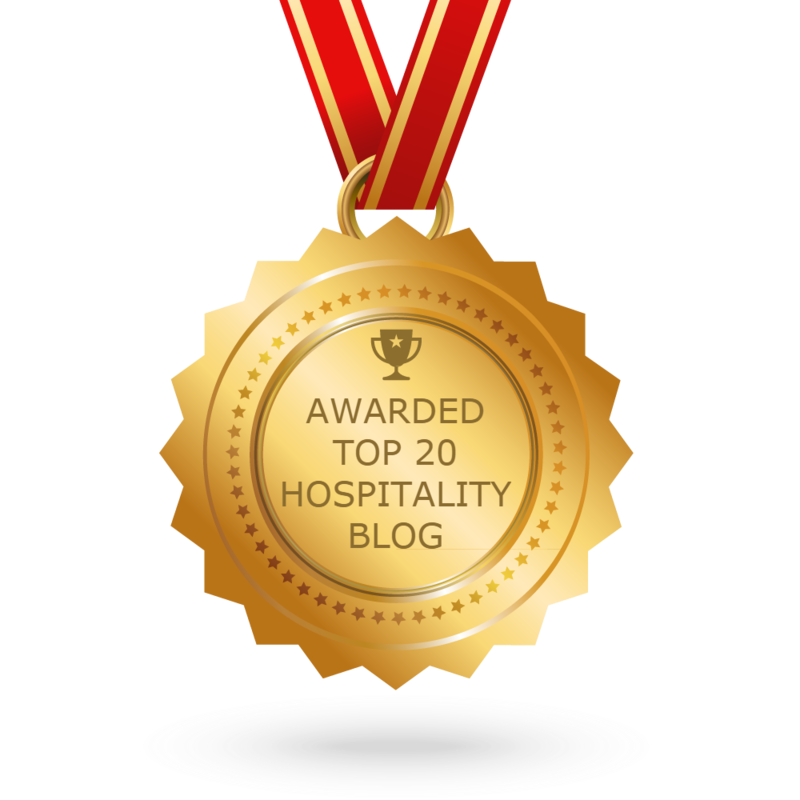 CONGRATULATIONS to every blogger that has made this Top Hospitality Blogs list! This is the most comprehensive list of best Hospitality blogs on the internet and I’m honoured to have you as part of this! I personally give you a high-five and want to thank you for your contribution to this world.